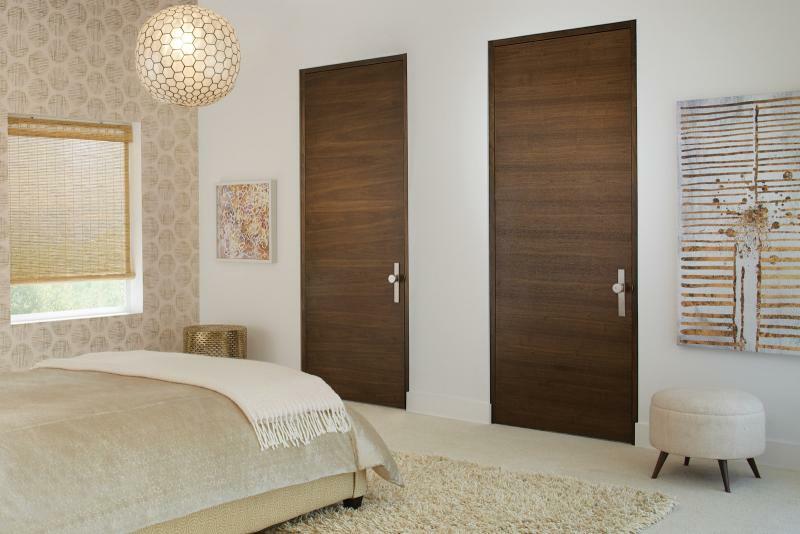 Responding to demand for sleeker openings, TruStile Doors has expanded its Tru&Modern Collection with the introduction of flush wood interior doors. "Over the past 18 months, TruStile has been hard at work taking a whole new approach to building a flush wood door exclusively for the custom residential market,” says Scott Schmid, president and CEO of TruStile Doors. “Today we're proud to bring that product to you." A manufacturer of made-to-order modern interior doors, TruStile says the TMF1000 is different than other flush doors because it has 1/16-inch-thick veneers that have been hand selected and precision-matched to optimize the beautiful character of the wood. In addition, the doors feature an engineered LSL core, banded on all four sides with 5/8-inch hardwood lumber. Doors are available in sizes up to 4 feet wide and 10 feet tall and with fire ratings from 20 minutes up to 90 minutes. The door line also is available in a paint-grade version, made with “super-refined” MDF and featuring what the company calls Wedge Edge—a hardwood edge system.